At Integra Tire, we stock a wide selection of wheels for customers in Penticton, BC, Oliver, BC, Princeton, BC, and other regions close to home. 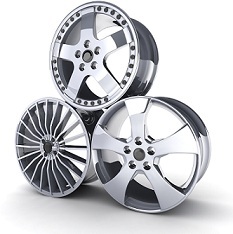 When you need the right rims to match your vehicle's needs for performance as well as your sense of style, let our team outfit your car, truck, or SUV. If you have any questions during your research, simply contact us or stop into our wheel showroom to learn more about wheels that may be right for your vehicle. After your wheel purchase, turn to us for routine tire and wheel care, including wheel alignments, flat tire repairs, and more.